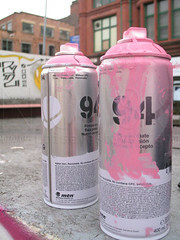 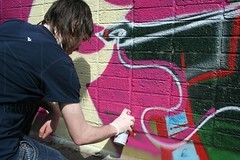 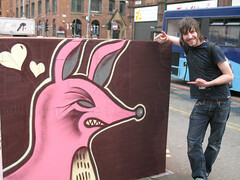 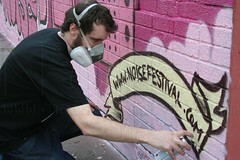 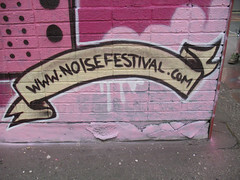 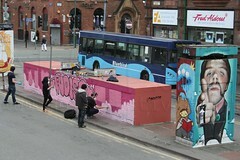 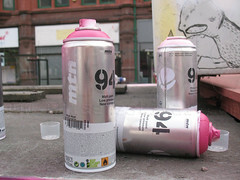 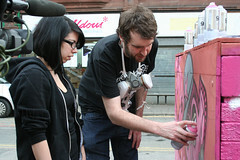 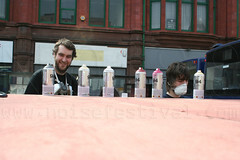 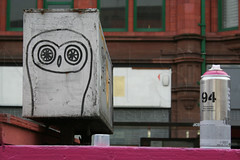 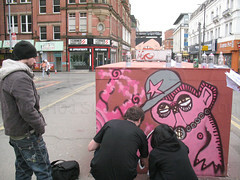 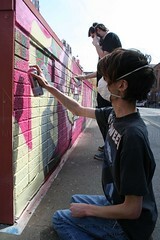 A select group of young artist's were given the opportunity to work with international arts organisation Spearfish, the creators of the Eurocultured Festival and one of Manchester's top graffiti artists, ‘Ruse’, to design and then paint a mural in a high profile and very public space in Manchester City Centre – top secret until the day of the painting. 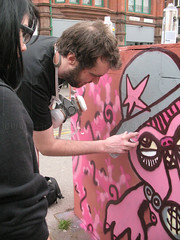 'Spearfish are an international arts organisation with an unprecedented drive to deliver inspirational events and projects to diverse audiences throughout Europe. 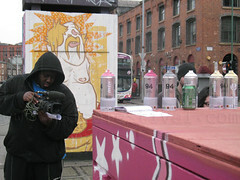 Working in the areas of visual art, music, dance, performance and digital media we have produced high profile projects that include that acclaimed piece of hip hop theatre called Life of a B-boy and Eurocultured Street festivals in Manchester, Dublin, Bratislava and Belfast.